Eminently qualified to write this groundbreaking book, Philip King is known as both an archaeological and biblical authority. 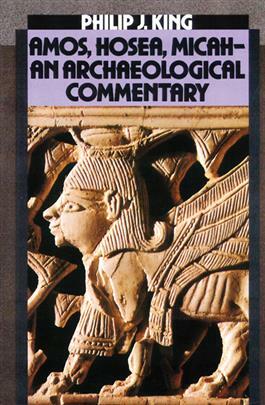 Defining biblical archaeology as the "process of correlating archaeological evidence with the biblical record," he sees the function of this discipline as the illumination of the events recorded in the Bible in order to clarify the text. In Amos, Hosea, and Micah, King offers an enlightening and elegant commentary on the eight-century prophets from an archaeological perspective.